Sold by SourceMedia and Fulfilled by Amazon. Gift-wrap available. Comment: All orders professionally packed and shipped from the USA within 24 hours. Multilingual, friendly, and intelligent customer service! for 10 albums, discussions, and more. 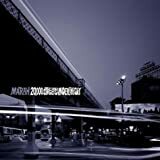 I had never heard, or heard of, Marah before until I read a rave review of this album on a blog that I really like, so decided to give it a shot. The first time I listened to it I though it was Steve Forbert singing, especially the guy started playing the harmonica. More "Alive on Arrival" than "Jackrabbit Slim, but a definite Forbert vibe, unlike with unmistakable nod to Springsteen. But unlike Amazon's main editorial review, I don't hear "Nebraska" at all. Instead, many songs on this album have a distinct "Greetings from Asbury Park" sound to them. And as far as I'm concerned that's a very good thing! Marah has taken those influences and rocked things up a few of the songs (people have used the Replacements for comparison, but I lean more toward the Hold Steady as kindred musical spirits) and the results are mostly very good. I wasn't blown away by all of the songs. "The Catfisherman", for example, sounds like a hackneyed attempt at being funky that just doesn't click. But when these songs DO click and fire, the melodies and energy are infectious. Overall, a most impressive album. How have I not heard of these guys until the past few months? I bought this album after seeing them in concert at Bonnaroo 2006. Their live performance was much better than the album. This CD is a great starting point for anybody new to Marah. IMO it is still their best effort. Highly recommended. I can't remember seeing a CD in Amazon.com for which the reviews have been so either/or. Marah is not there yet, but they have a great CD inside of them. Maybe next time, and then again maybe they never put it together. Anyway, this one, for me, is a pretty good listen while we're waiting. I like their rowdy, throw-it-all-in-the-mix-and-see-how-it-comes-out sound. The vocals are pretty raw, rushed, but infectious. In its often bleak and gray view of Philadelphia, this is the aural equivalent of three films about the city -- Sixth Sense, Unbreakable, and of course Philadelphia. Like them, the songs feel like they have gotten that aspect of the city exactly right. Finding out you've lost your baby while passing a park in a bus is the unique perspective of Faraway You. Point Breeze sounds like a hot urban summer night, somewhere between boredom and random violence. Round Eye Blues is post-Vietnam trauma syndrome to a Ronettes and Motown girl group-like sound. Crazy, yet it works. It's Only Money, Tyrone; My Heart is the Bums on the Street; and The Catfisherman all left me indifferent, but Barstool Boys, The History of Where Someone Has Been Killed (echoes twenty years later of the Clash's Somebody Got Murdered) and This Town brought me back to Marah's corner. These boys know music; they know their city; they love both. For rock music fans, they bear close watching. 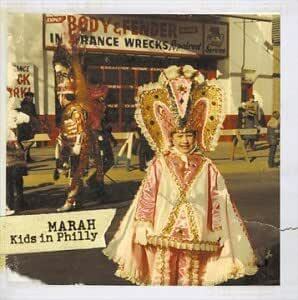 Marah's second album "Kids In Philly" has to be the one of the greatest musical collections to be released in 2000. The rough vocals of lead singer David Bielanko bring you right into hear of the music and Philadelphia where this excellent band is from. The instrumentation on the album is very diverse and creative and gets you on your feet and moving around. 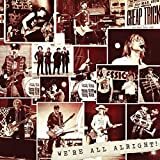 Songs like "Faraway You" and "The Catfisherman" bring a sense of the old town bar blues to this collection of wild and suprising jam rock. The first single, "Point Breeze," throws hook after hook at you while telling a lyrically creative story. Some of the darker songs include "It's Only Money, Tyrone" and the ode to Vietman ditty called "Round Eye Blues." The lyrics of this song bring your gith into the heart of the battle in Vietnam. What is suprising is that the band members are too young to have been in Vietman but they tell the story so vividly and so well like they were actually their. 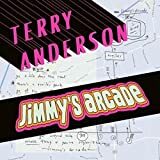 Their 1960s and 1970s pop culture refertences give it a sense of credibility and their use of the slang of the time brings the lyrics to a broad audience. 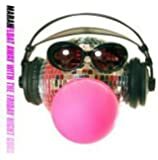 This CD will keep you jamming from beginning to end and you'll play it over again once the last song has stopped. despite its darker tunes, it's definitely the feel-good disc of the summer of 2000. My friend Sam and I listened to "Let's Cut..." non-stop for a period of months. There are so many jewels on that disk it's not even funny. 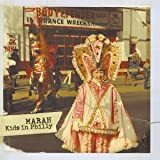 "Kids in Philly" is a decent album but it's missing the same attitude their previous album had. These songs have likable melodies, some of them have interesting writing (Far Away You is the best single chord song I've ever heard and though I'd never thought I'd say this that skyline songs knocks out almost everything on the first album), but the music just doesn't have the same charm it once had. Part of the problem lies in the lyrics. There's no sly wink in them, no hint of a smile. I don't think they're bad by any means, but they can get kind of boring. Please don't take this review to be negative. Take it to mean that this album is worth your time if you like all of the bands that everybody else keeps mentioning. Don't be lazy now! Go read the other reviews. Second to lastly, I've seen Marah three times, and I highly recommend catching them. They're great live. Lastly, Marah has the coolest t-shirts of any band ever. Just thought I'd mention that.